When we marry, we assume all will be good. We assume marital bliss and happily ever after follows the wedding vows. The truth is, marriage isn't all good all the time. We know life will happen but we don't expect troubles. We don't expect late nights of working through problems. And we certainly don't expect that this one we love more than our next breath will have us crying into our pillow at night. My daughter is engaged to be married so my husband and I have been going through different scenarios and situations with my daughter and her soon to be husband. We want them to play things out and think about how they will react to each other when life steps in and wrecks their view of their perfect mate. Now, this doesn't guarantee that things will be perfect, but we want them to have a feel for may come. Marriage isn't easy. But when we are full of ourselves, marriage is downright difficult. 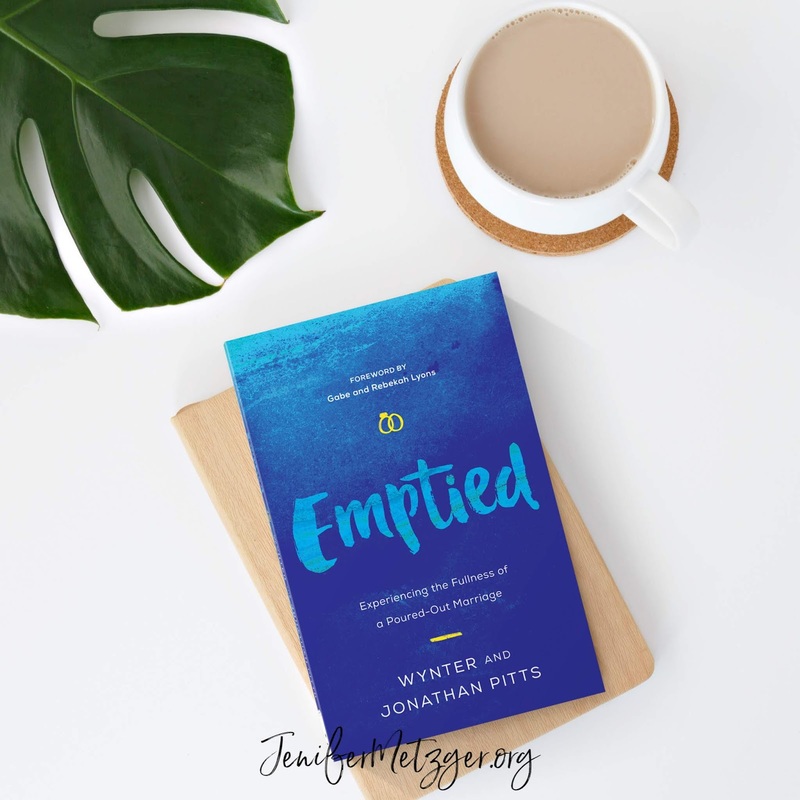 Jonathan and Wynter Pitts have a brand new book, Emptied, that invites you on a journey to explore a different approach to your happily-ever-after marriage. "Emptied. The word is simple, and we all understand it. In marriage emptying ourselves is the key to unlocking what God has in mind to ultimately bring about what He has for you and for us in this most vital relationship." In Emptied, Jonathan and Wynter walk beside you with their own stories, Scriptures, questions to get you thinking, and prayers. They even walk through the Fruits of the Spirit in marriage. "Emptied is a way of life. It’s not about trying harder, it’s about thinking differently. Only when you are emptied of your own self-focused motivations can God pour new life into you for the abundant marriage and satisfying relationship you long for. Are you ready to approach your marriage poured out, ready to be filled up?" Whether you are engaged to be married, newly married, or celebrating many years of marriage, Emptied is the book for you! To pick up Emptied, please click below. Wynter's life taught me so much. Here are 5 Lessons from Wynter.